occur together in the same sporangium. 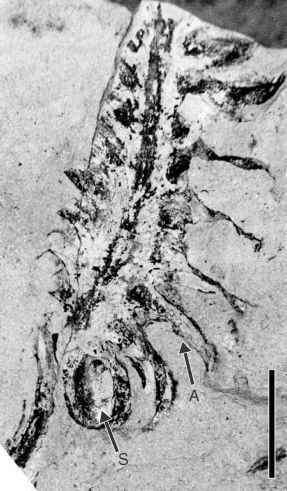 A similar condition exists in Protobarinophyton pennsylvanicum described from the Upper Devonian of New York (Brauer, 1981). The small spores range from 30-42 pm in diameter, whereas the large spores extend from 410 to 560 pm. In both Barinophyton (Taylor and Brauer, 1983) and Protobarinophyton (Cichan et al., 1984) the wall structure of the large and small spores is different. This indicates that the small spores do not merely represent aborted megaspores and that these two plants were, in fact, heterosporous. Spores of two different sizes have also been reported in the same sporangium of the progym-nosperm, Archaeopteris (Medyanik, 1982) (Chapter 12). 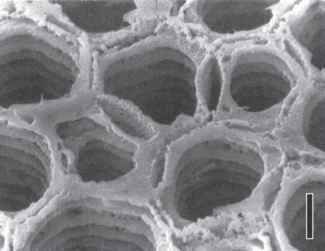 In A. latifolia the number of megaspores per sporangium is highly variable, ranging 8-20 (Chaloner and Pettitt, 1987).